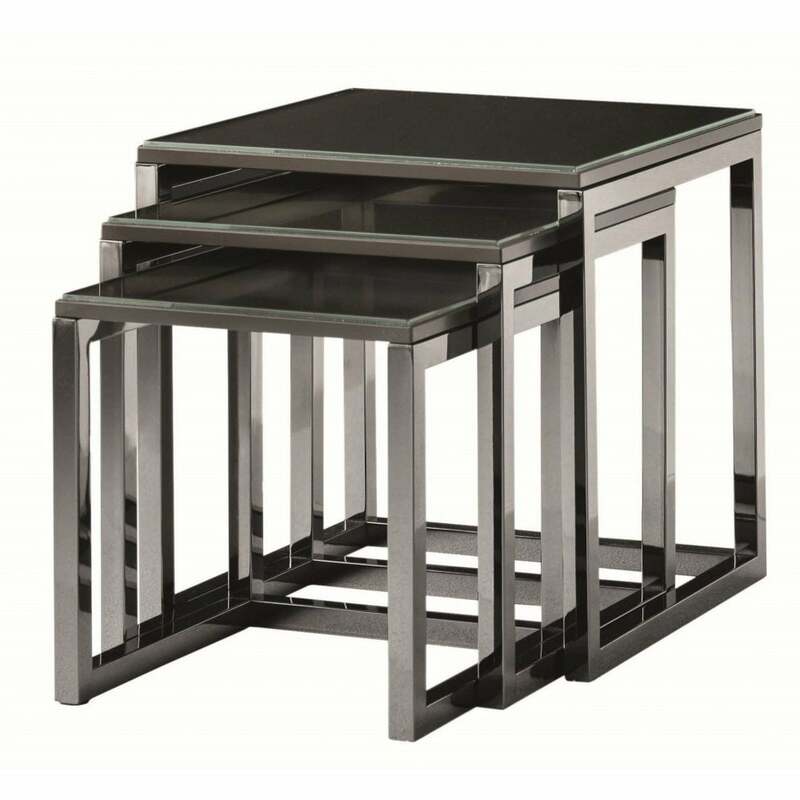 Dark and dramatic the Mondrian set of side tables from the Daytona collection by Signorini & Coco will add a focal point for any interior space. The classic combination of the stainless-steel base and smoked glass surface gives a glossy, sophisticated finish. The set of tables in available in a set of three pieces; small, medium and large which stack together for a stylish storage solution in your living space. The smoked glass and steel combination lends itself to an industrial styled interior scheme. Style with dark and dramatic home accessories, faux fur throws and soft furnishings for a luxury look.